A donation shortfall over the winter holidays is prompting the American Red Cross to issue an emergency call for blood platelet donors . 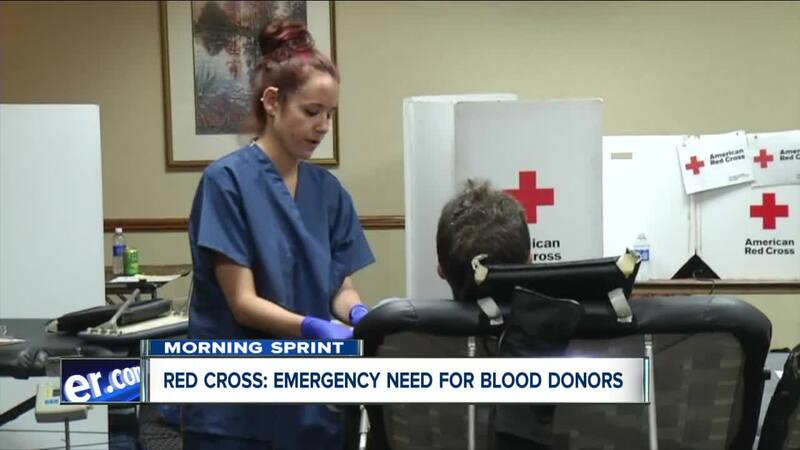 The Red Cross said it collected about 27,000 fewer blood and platelet donations the weeks of Christmas and New Year’s than needed to sustain a sufficient blood supply. Fewer blood drivers were also hosted during that period due to busy holiday schedules. They are asking all eligible donors, especially platelet donors and blood donors with Type O blood, to make an appointment to give in the coming days to help restock the shelves for hospital patients. January is also National Blood Donor Month. Eligible donors can find a blood or platelet donation opportunity and schedule an appointment to donate by using the free Blood Donor App , visiting RedCrossBlood.org or calling 1-800-RED CROSS (1-800-733-2767).